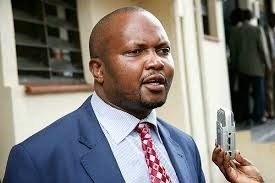 TNA nominee for the Gatundu South parliamentary seat Moses Kuria could be facing a political challenge of his lifetime in what analysts now term as a two-horse race. Contrary to perceptions that clinching a TNA ticket for the by-election was as good as being elected, the reality is now sinking on Kuria who must now burn the midnight oil to counter his only opponent Kiarie Kamere, who was cleared by the IEBC to fly the New Democrats Party flag. The reality is that Kuria’s quest for the seat will not be a walk in park. However, the TNA candidate is the frontrunner. Kuria’s trouble began immediately after he was declared the winner in a controversial party nomination exercise which was allegedly marred with claims of rigging and other election malpractices. The losers, however, rejected the results and the matter was referred to the party’s tribunal which, however, upheld Kuria’s nomination. Sources say it was Kuria and top TNA officials who pulled a fast one on her by asking William Ruto’s URP not to clear her to run on their party’s ticket. 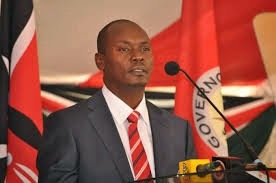 Sources say they held a secret meeting with URP secretary general Fred Muteti. It was after the meeting that Muteti made a press release where he denied reports that the widow had been cleared to run on URP ticket. The statement read in part: “Joyce Ngugi is not a member of URP as of this morning. I have checked my records and consulted with the Registrar of Political Parties and found out that she is still a member of TNA and not a member of URP. I therefore urge Ms Joyce Ngugi to join hands with Moses Kuria and campaign together towards the success of winning the seat by the Jubilee coalition in the upcoming by-election”. Joyce did not, however, take the announcement lightly as she claims to have been assured by the same URP operatives that she would be cleared to run against Kuria. It was after that shocking statement that she came up with her plan B which was to lobby all the candidates who vied against Kuria in the party nominations to gang up and support Kamere. Already, she has gone public and is campaigning for Kamere and she has also managed to bring on board John Karing’u, who came a distant fourth, and have resolved to back Kamere. Analysts say Kuria and his campaign team can only ignore the new team behind Kamere at his own peril. As campaigns hot up, it is merging that Kamere has been pulling huge crowds which is beginning to give Kuria sleepless nights. Kuria’s major problem is that tycoons from the area have never bothered to campaign for him. However, the president has a soft spot for him. 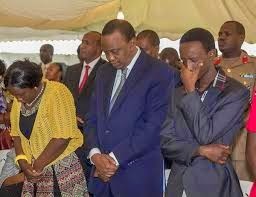 There have been whispers that Uhuru was under pressure to have Joyce to inherit her late husband’s seat but he did not come out openly to show she was his preferred candidate. The fear in Kuria’s camp is that Kamere is relatively influential having contested last year where he finished a close second. Those who have been keenly following Gatundu South politics and the emerging realignments now say that the development will definitely make it tough for Kuria to get to parliament since Wanjiku and Kamere are no ordinarily players in the race. The two-horse race theory could as well be the toughest ever fought in Gatundu South. Voters opposed to Kuria claim he is an ivory tower politician who does not know the plethora of problems facing the local Gatundu residents. Literally, Uhuru now has the key to decide who will be the winner in the August 7 by-election.